Because LTD law can be complicated, the purpose of this Toronto Injury Lawyer Blog Post is to identify some of the most common questions our lawyers get for Long Term Disability claims. + Do I need a lawyer to complete my initial LTD paper work? The quick and short answer to this question is “No”. Be honest and truthful in the paperwork you’re asked to complete. If you truly are disabled, this should jump out off the page for the insurer and an approval ought to be relatively fast. You will however need a supportive family doctor who believes in your disability. If your family doctor or treating physician does not support your disability, this too will jump out at the insurer and give them good reason to deny your LTD claim. + Why is the insurance adjuster asking me so many questions? Do I have to answer them? + If my LTD claim is denied, should I appeal that decision? Our lawyers have never seen a claim which has been denied at first instance, later get approved on appeal, unless there has been a substantial change in the claimant’s health, or there is new and overwhelming medical evidence which is proving the disability. Only in VERY RARE cases are denied LTD claims overturned on appeal. By appealing, you’re just letting the insurer pad their file, and create a chain of denials to corroborate and legitimize the denial at first instance. If your LTD claim has been denied at first instance, stop messing around. Contact a personal injury lawyer right away. Your future benefits and financial stability are too important to jeopardize. + Do I have to apply to CPP Disability after applying for LTD Benefits? Most LTD policies that our lawyers have seen either have a requirement that you apply for CPP Disability or a provision for a set off for CPP Disability. Either way, why wouldn’t you apply for CPP Disability? CPP doesn’t send you out for insurance medical examinations? They don’t conduct surveillance on you. They won’t cut you off at the drop of the hat? Benefits will go up to the age of 65 with minimum questions asked, and then CPP Old Age benefits kick in. When it comes to disability insurance, CPP Disability is pretty hard to beat. + How much is my LTD Case worth? LTD cases are based on a number of factors. Our lawyers can quantify your case with a degree of mathematical accuracy. We quantify your case by taking in to consideration your age, earnings, monthly LTD amount, date of denial, duration of LTD benefits, along with a present value calculation for future benefits. Based on our mathematical calculations, we can tell you the total value of your LTD claim if all arrears are paid, and benefits are paid for the lifetime of the policy. + What can a Judge do if my case goes to Court? Notwithstanding any claims for bad faith, mental distress, aggravated damages, punitive damages etc. ; the only thing a Judge can do for you at trial is order that the insurance company pay the arrears, with interest, plus costs, and order that the insurer put you back on claim. That means that the insurer will pay your LTD benefits month to month on a go forward basis pursuant to the policy. But, pursuant to the policy, the insurer can conduct surveillance on you, can send you to a medical examination, and can require periodic updates about your health. Many claimants want a clean break/clean divorce from their LTD insurer. The LTD insurer wants the same thing. This is why a vast majority of LTD claims settle for a lump sum which factor in the value of arrears, interest on those arrears, payment for future benefits, plus a contribution towards legal fees. A good settlement is one whereby both parties are pleasantly unhappy such that the Plaintiff feels like they’ve accepted too little; and the insurer feels like they paid too much. Got more questions about LTD Claims? 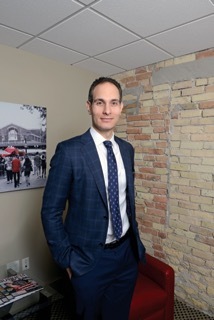 Give Brian Goldfinger and his team at Goldfinger Injury Lawyers a call at 1-877-730-1777 or email us at brian@goldfingerlaw.com With offices in Toronto, London, Peterborough and Kitchener-Waterloo, we serve claimants all over Ontario.